If it's LAND, we are LOOKING for IT! We have properties that are currently available, but are not listed on our website. Give us a call or email us, we may have exactly what you are looking for, if not, we will find it. "A Little Lot of Land"
Trophy Deer Hunting Tract with Timber Value. Come take a look at this very unique move-in ready hunting and timber tract that has been immaculately maintained and the deer are plentiful, you will see turkey on the property as well. We are offering a 460 +/- acre diversified hunting and timber tract. Good road system throughout property. The Seller is leaving all stands and feeders in place! Other improvements include a well-built 24 ft. by 36 ft. enclosed metal pole barn, with concrete floor and alarm system. There is a 4 inch well and electric at the barn. Beautiful woods and farmland surround this property. The deer on this tract and several adjoining properties have been trophy managed for years. Trophy bucks in the 130s and 140s are not a rarity on this sensational property. Besides great hunting and a valuable timber stand you have clear running creeks, a waterfall and stocked fish pond on this beautiful hunting tract. The topography on this parcel ranges from flat to relative steep, the total elevation varies up to a hundred feet. A large amount of the property is in planted pines of all stages of growth, from 125 ac. of 30 year old and 85 acres of 22 year old Loblolly pines. Later planting include 20 ac. of 14 year old and 60 ac. of 8 year old Longleaf pines that are some of the best stands I have ever seen. Recently planted pines consist of 55 acres of 5 year old, 35 ac. of 3 year old and 30 ac. of 2 year old Loblolly Super Trees. This sensational property is easy to get to, paved road frontage, located a short distance from US 27. Ranch Style Home with Workshop on 8 Acres. Conveniently located only a few miles south of Blakely in Early County, this spacious custom built home with nine to ten foot ceilings and crown molding throughout is 3,343 sq. ft. under air. There is a formal dining room, spacious living area, two large bedrooms, 2 baths and a spacious office that could be converted into a third bedroom by adding a closet. The home has an open floor plan in the living room and kitchen with a breakfast nook. The kitchen has a enormous amount of white wood cabinets, a counter top stove, deep sink, dishwasher, wall oven and microwave. Off from the kitchen is nice size laundry room with even more cabinets. You walk into the large living area from the foyer. You have nice low windows to bring in a lot of light, with wood floors through out the kitchen and living areas. The master bedroom has plenty of closet space, carpeted flooring and ceramic tiled bathroom with shower and garden tub. The vanities in both bathrooms have double sinks with large mirrors, nice wood cabinetry with plenty of storage. If all this isn't enough, there is a "mother-in-law's suite. You have an additional living area and kitchen with wood cabinets, electric stove, refrigerator and stainless double sink, which adjoins another bedroom and small bath. The house is ranch style with frame construction, built on stem wall with crawl space. The home has two air conditioning units. In the rear of the house you have an additional 313 sq. ft porch back, a 575sq. ft. carport, and a 344 sq. ft. front porch; total space under roof is over 4,000 sq. ft. A concrete walk way leads out to a nice workshop on a concrete slab with a pull up door. The yard is huge, with the home sitting back off the highway. Great home with room for kids to play, have a nice garden, build a large barn for your "toys". Come take a look at this 250 +/- acre Hidden Gem of a property, located in Grady County, close to Whigham and Hwy. 82. This fine parcel is secluded at the end of a gravel road for your privacy and is surrounded on two sides by a State Park. Tired Creek State Park is 2,800 acre publicly owned owned wildlife sanctuary that does not allow any hunting other than duck hunting on the 960 acre public lake. Of the 250 acres a 180 acres is fertile farmland consisting perdominately of Tifton and Orangeburg soils, the remaining area is in woodlands with a small amount of merchantable pine. Deer and turkey are in abundance since this property borders the nature preserve. You can enjoy fishing or duck hunting in your own 6 acre lake or quarter acre duck pond located on the property. You always have the option to go next door to fish in the 960 acre recreational lake. Located on the property is a 2 bedroom, 1 bath, 1,144 square foot home for your weekend get-away. 291+/- Acre Recreational Tract with Income Producing Farmland. Located just outside of Arlington, this property is a great combination of farm and recreation. The irigated farm land covers approximately 80 acres with two center pivots. Water is furnish by a 12 inch well and diesel power unit. You can farm it yourself or rent it out to a local farmer. The balance of the property is excellecent habitat for deer, turkey and quail hunting. Property is surrounded by farm fields and woods. The balance of the property has nice woods with hardwoods and pines, which offers good deer, turkey and quail hunting. Paved road frontage divides a small portion of the property. Good interior roads provide access throughout the property. 455 Acre Farm with Good Water and Irrigation. Welcome to one of the better irrigated farms in Early County, just north of Blakely, with fertile soils and good water. Located 30 miles east of Dothan, 50 miles west of Albany and 80 miles north of Tallahassee Florida. The total acreage of this farm is 455 acres, with 320 irrigated acres, 25 acres tillable dry farm land, approximately 65 acres planted pines and the balance in hardwoods and marsh. All the pines are merchantable 15 to 25 year old trees, 27 acres of the pines are in the CRP program, paying $1,700. per year. Soils on the farm are very fertile Tifton, Faceville and Greenville loams. The farm is very well maintained and produces high yields. Water is pumped from Lake Louise, which is a spring fed lake. Brunson Branch and Breastworks Branch follow the east property lines, flowing from the lake. All irrigation equipment is electric. There is a brand new (July 2018) 7 tower Valley pivot with low pressure nozzles, a one year old 8 tower Valley system with low pressure nozzles and a Valley 9 tower pivot. Water is pumped with a Cornell pump powered by a 60 hp Baldor Reliancer electric motor and a Cornell pump powered by a Baldor Reliancer Super E 125 hp motor. All electric is underground. There is a beautiful home site at the back of the farm, close to the lake. The current owners have a travel trailer parked under a shed with built on front porch nestled under lots of large oaks, also there is a wooden utility shed for storage. There are deer and turkey on the property for the hunting enthusiast. Numerous dove shoots are generally held on the farm during dove season. You will have to look long and hard to even come close to what Legacy Farm has to offer as a model "Gentleman's Farm". This unique 216 acre turn-key recreational property has rolling topography and beautiful custom home with numerous amenities. Only two miles to the Chattahoochee River, 22 miles to Dothan Alabama, 80 miles to Tallahassee, Florida. Present owner has taken great pride in developing the property in to a quality mini plantation, including building a 3.5 acre deep spring fed pond, stocked with bass, blue gill and minnows, bass up to 12lbs have been caught. There are two year around creeks. Land improvements include 160 acres of Loblolly Super Trees, (2 to 9 yrs. old). 25 acres of Longleaf Pines (9 yrs. old). Also, over 500 Saw Tooth acorn trees have been planted all over the property, along with two peach & pear orchards for wildlife. Property is set up for quality trophy deer and turkey hunting, with an aggressive feed, mineral and protein program, and nine food plots totaling 10+/- acres. Along with yearly dove and quail shoots. There are six 2 person stands, four bow stands and the mega "grandkids hunting stand", complete with paneling, carpet, windows and couch. Property is hunted by family only. Attractive "Lodge Style" custom home with 5 bedrooms, 4 baths, has so many amenities it would take pages to list them all. Home comes completely furnished with high-end furniture throughout. You enter the large great room with 20' ceiling and floor to ceiling stone fireplace from a front porch accented with stone and "lighter'd" post. Gourmet "chef's" kitchen with top of the line appliances, exotic granite countertops, stone accents and marble floor with wood inlay. Also, you have a 22' x 24' custom outdoor kitchen with high-end SS Vintage grill and fryer, stainless steel cabinets and refrigerator drawers, granite tops, cedar & stone, reclaimed barn wood table, 60" TV. Wireless sound system goes out to the Infiniti pool (built 3 yrs ago) with waterfalls, 18' stone fire pit and granite corn hole game. The 60 x 40 metal barn is partially enclosed, attached to the barn is a fully equipped air conditioned workout room with 55' TV. All gas appliances and 25 kw generator are plumbed to one of two 500 gal in ground propane tanks. Home and barn protected by security system. Country Living on 98 Beautiful Acres with Home. Enjoy the country lifestyle on this beautiful 98 acres of pasture and woods, living in a quaint 2 story home that has all the country charm, with a wrap around porch and dormers, nestled in beautiful oak trees. Located between Blakely and Colquitt, just off US 27. The home is 2,500 SF under roof and 1,914 SF under air. House is attached by a covered breezeway to a three car 24' x 48' garage. The home has a nice open floor plan with living, dining and kitchen area, there is a very large master bedroom and bath downstairs, as well as a half bath. Upstairs there is an addition large master bedroom and bath, and another room that could be used as a nursery or home office. Additional improvements on the property is a 40' x 100' metal open barn to store farm equipment or your "toys", which is located close to the house. Out in the pasture is another 40' x 75' galvanized steel open shed to your cows under or use for additional storage. The 98 acres is fenced, with cattle currently on the property. There's about 65 acres of grass pasture with a large pond and scattered trees that provide shade to the cattle. The balance is unimproved woodlands which provide good cover for the wildlife. If you enjoy hunting there are deer on the property. Property has paved road frontage on two sides. Come take a look at this attractive southwest Georgia property. 82.8 Acre Parcel with Hay, Timber and Home. Located just off US 27, in south Early Co. Nice homes and attractive land in surrounding area. Take a look at the aerial. Paved road frontage on two sides. There is approximately 26 acres of merchantable planted pines and a few hardwoods for income and hunting. The balance of the property was planted in Coastal Bermuda grass last year. This could be baled and sold for hay this year, converted to pasture or could be row cropped. The property is very attractive with planted pines, large oak trees and open hay fields. Property comes with a 1,800 SF, 2 story, 3 bedroom, 2 bath home, that was built in 2008. The home has log siding, a nice front porch, dormers and a metal roof to give it a country look. Other improvements include an old metal 40' x 50' open equipment barn. Hunting on the property. 277 Acre Timber and Hunting Tract. Located just off US 27 in Early Co. This parcel has approximately 170 acres of 30 year old pine logs with lots of poles. The balance is a mix of natural pine and hardwood mix, and approximately 70 acres of clearcut. Two year round creeks run through this property. Lots of wildlife, some open areas for food plots. Great recreational tract. 63.4 +/- Acres Planted Pines and Hardwoods. Property is located on west side of US Hwy. 27 at the intersection of Cannon Road, (aka CR 208), about 10 miles south of Blakely, just above the Early ~ Miller county line. Front of property is planted in CRP Longleaf and Loblolly Pines, the back of this parcel has a small amount of hardwoods. Would make a nice home site and a good hunting tract. Property is surrounded by irrigated farmland and woods. MAKE AN OFFER!! 16 Acres with Farm House located on east side of US 27 and DuBose Road, (aka CR 209), just above the Early ~ Miller county line. The farm house is 1920 circa, with new metal roof. House would be well suited for a hunting camp, it sits to the back of the 16 acres of pasture with a small amount of planted pines in the front of the property, close to the highway. The house is surrounded by large hardwoods very slight roll to property. With some work it could be a beautiful piece of property. Property is triangular in shape. MAKE AN OFFER!! 404 +/- Acre Farm with CR 133 and CR 29 Frontage. The farm totals approximately 400 acres, with 244 tillable and 30 acres of planted pines. The property is divided by a paved road and a gravel road. However, all the land is contiguous. This is dry farm land consisting of primarily Faceville, Norfolk, and Marlboro soils. Come take a look. to the Seller and Buyer! 344 Acres located just west of Arlington on south side of GA. Hwy 62. Property has a nice mix of dry farm land, planted pines, hardwoods, a small wet weather creek and duck pond. All of which makes this a good recreational tract with good deer hunting. The property is adjoined by similar types of parcels and big woods. There is a small two story wood frame cottage that can be used for a hunting camp. Congratulation to the Buyer & Seller! 253 Acres with Great Georgia Trophy Whitetail Deer This recreational tract is located just east of Blakely, on the north side of Ga. Hwy. 200. Parcel has a nice appearance, with big beautiful oaks and hardwoods scattered through out the property. The old farm fields and pastures have been planted in loblolly pines at various times over the past five years. The is manicured and ready for a new owner to enjoy all this property has to offer. Most of the land owners in this area are under a strict "Quality Deer Management Program", and the quality of the deer are exceptional. 414 Acre Property with 80 +/- acres of Income Producing Irrigated Farmland. Good investment opportunity with this diversified tract. Paved road frontage makes this property very accessible. There are natural and planted stands of timber throughout the property, with approximately 65 acres of longleaf pines, planted in 2012 and 20 +/- acre stand of 2006 planted longleaf pines. The oldest planted pines were planted in 1985, which was approximately 50 acres. There is total of 217 +/- acres of merchantable timber in pines and hardwoods. The center pivot irrigation system is included, no pump is included in the sale of this property. The water for the irrigation system is pumped from the creek. Excellent recreational tract due to good cover for wildlife, year around creek on property and rolling terrain. 94 +/- Acres of Longleaf Pines Located in Clay Co. Good highway frontage, this tract is divided by four laned US 27. Property is income producing, with nice stand of longleaf pines that is presently being baled for straw. There is a small amount of Loblollies and Hardwoods on this property as well. Also, you have good hunting on this small tract. 600 +/- Acre S. W. Georgia Ranch Conversion. Approximately 600 acres of recently cleared timber land has just been released to the market. All but approximately 20 acres have been cleared of stumpage. The seller has recently planted around 300 acres of Tift 9 bahia seed. The property consist of relatively flat terrain, with a couple natural drains. There are some scattered hardwoods for aesthetics and shade for the cattle. This property is a work in progress, with the remainder needing to be planted in the grasses of your choice. Property is not fenced. Soils are primarily Goldsboro and Norfolk Sandy Loams, excellent for pasture grasses. The tract is a diamond in the rough, and priced right for a quick sale. Asking $1,600. per surveyed acre, no sub-dividing. 58 Acres Good Long Term Investment. Located just south of Blakely, with frontage on Three Notch Road and access on Mays Mill Road. Property has a gentle roll and is planted in 5 to 6 year old pines. Nice homes in the area, come take a look, it won't last long. 16 Acres of Dry Farm Land. Nice small parcel of farm land with good soil, located on New Hope Road. Parcel is rectangular shaped with frontage on county dirt road. 332 Acre Farm with Irrigation, Hunting and Timber. This farm has it all!! Approximately 160 acres under a Valley irrigation pivot system with a 14 inch well, pumping 1,300 GPM and another 15 acres of dry farm land. Farm land is predominately Tifton soils. With this nice farm you have 16 acres of Loblolly pines and another 20 acres of Long Leaf pines around the farm field. Additionally there is about a 10 acres pasture at the entrance to the farm with a quaint farm house and old barn, which could be used for rental income or hunting camp. The balance of this tract is in mature hardwoods along Dry Creek. This is a great deer hunting tract. Property is located in extreme southern Early County, just off four-lane highway, US Hwy 27. Come take a look, it will go fast! 77 +/- Acre Irrigated Farm with Well. Farm has good soils, with 55 acres under center pivot irrigation, dropped nozzels, and electric power unit. Pivot is in good condition. Balance of property in dry farm land. Located close to Damascus with paved frontage on Hwy. 200. 605 +/- Acres located in Early and Miller Co. This tract of cut over timberland is located west of Colquitt and south of Blakely Ga., with frontage on GA. Hwy 39 and Warren Road. Property has good location and great possibilities. Suitable for replanting pine timber or would make a real nice pasture. The land has a gentle roll with about a 10 foot change in elevation. There are several wet weather drains with hardwoods that add to the aesthetics of this property. 217 +/- Arces located in western Early Co. on General Motors Road. Property has nice rectangular shape, with good soil. Presently is cut over timber land, but could be converted to irrigated farm land. Good road system through out property. Come take a look at this property, it will not last long. Congratulations to the Seller & New Owners! Custom Built Country Style Home on 1.5 acres in Early Co. GA. Attractive “HardiePlank” two story country style 4 bedroom, 3 full bath home is built on a beautiful wooded 1.5 acre lot over looking a bluff with a small spring fed branch. Located only 7 miles north of Blakely, GA. on SR 39 North. The home totals 4,032 sq. ft under roof, with 2,700 sq. ft of air conditioned space. The workmanship is obvious in this custom built, 2008 home, with 6" crown molding through out downstairs, tray ceilings in living area and master bedroom. The entry way gives you a view of the living area, the beautiful natural stone wood burning fireplace and double French doors that open to the back porch. Well appointed kitchen with walk-in pantry, wood cabinets, stainless steel appliances, ornate range hood, and ceramic tile counter tops and back splashes. Spacious master bedroom and master bath, with two walk-in closets, wood cabinets, garden tub with large window and shower is located on the first floor. Two air conditioning units, a 1 ton & a 3.5 ton unit, keep the house comfortable summer & winter. For your peace of mind, the home has a security system on all windows and doors. Out buildings and improvements include an enclosed 18' X 21' metal shop/storage shed with concrete floor, insulated ceiling, and covered parking for ATV; an enclosed pump house, concrete driveway, and landscape irrigation system for back & side yard of home. Additional acreage available with house up to 28+/- acres at $2,000. per acre. Smokey Hollow Farm with Irrigation, Creek, Paved Frontage and Hunting. The farm consist of 200 acres of inrrigated land under a 9 tower Zimmatic pivot, and an additional 40 acres of dry farmland with good soil. The balance of the property has beautiful mature hardwood bottoms on both Dry Creek and Blue Creek. There is a small amount of mature planted pines that add to the aesthetics of this 371 acre farm tract. This diverse property has the potential for some trophy quailty deer. Smokey Hollow Farm is located just a few miles from downtown Blakely, a quaint south Georgia town, and the county seat of Early County. 384 +/- Acre Hunting and Timber Tract with Dry Creek Frontage. There is a beautiful stand of 28 year old planted pines and another stand of planted pines ready to be thinned for the first time. This property boast one of the most attractive stands of mature hardwoods I have seen. The eastern boundary of the property runs the center line of Dry Creek. There is an open grassed area that could be planted in pines immediately. This tract has been trophy managed for mature whitetail deer for a number of years. Paved frontage access off Five Bridges Road. 210 +/- Acres with Future Development Potential. Lots of Highway Frontage. This property has dry land farming, an ideal location, very close to town, with a lot of upper end houses in the general vicinity. This tract has paved road frontage on both sides, and a slight roll which makes this an attractive parcel. The land is currently being farmed and has a few scattered hardwoods. Priced at $304,500.!! 352+/- Acre Tract is a Deer Hunter's Dream. Tired of Leasing? Take a Look at This and Never Pay a Hunting Lease Again! Natural pine and hardwoods with a little scattered cypress. This hunting tract has a great road system to navigate around the woods and multiple food plot sites. As a bonus, you have 40 to 50 acres of planted pines for future income potential. Property has paved frontage on Nickelsville Road in Early Co. Electric is available to this property, so come build your hunting camp, and enjoy a great year of deer hunting with us. You can own this tract for only $404,800. Email Mark. 33.8 Acres located on Lake Walter F. George. This unique and exceptional tract has extensive road frontage with absolutely stunning lake frontage. Located right on a point, you have panoramic views of Lake George and beautiful sandy beach frontage. There is some existing pasture land, mature pecan grove and large mature hardwoods. As if this is enough, there is an old "Antebellum" home, located on a high hill, over looking this amazing property. Property is about 5 miles south of Blakely, GA., fronting on a county clay road and a run of Dry Creek. Approximately 72 acres of farm land with 2 four tower Valley pivots, 12" permitted well and JD diesel power unit. Parcel has 60+/- acres of 8 to 10 year old planted pines, with balance in hardwoods. Excellent deer hunting. 32+/- Acre Tract with Dirt Road Frontage. Property consist of approximately twelve acres of dry farmland, five acres of woods and 15 acres of pines. Good soils on the small tract. 123 Acre Turn Key Hunting Property with Big Buck Potential. Randolph County is a trophy managed county, and known for it's potential for "Big Bucks". This recreational tract has good deer and turkey hunting, and is set up ready to go, with a large, well maintained mobile home placed in a beautiful setting, numerous food plots, fruit trees, deer stands, tractor and equipment shed. You also have some timber value with 40 acres of 12 year old planted and natural pines and hardwoods. Come take a look, if you are a serious hunter and prefer all the comforts of home, this property is what you have been looking for. 139+/- Acres with County Road Frontage. Just on the market, recreactional tract with planted pines, on dirt road. Property located in Early County. 75+/- Acres of Dry Farm Land with Very Good Soils and Water Available. Located in south Miller Co. on 3 corners of paved road frontage. Approximately 50 acres can be irrigated. 1,250 Acre Irrigated Farm and Ranch in S W Georgia. If you are looking for a good dual purpose irrigated farm tract, with good row crop farming and cattle grazing, you have just found it in this extremely productive property. This tract is ready to go as a row crop operation, cattle operation or both. Currently, the owners are row cropping, and then planting winter wheat to graze yearling cattle until time for planting. The entire property is fenced and cross fenced for cattle, complete with a set of cow pens and loading chute. The farm consist of approximately 850 irrigated acres, under 7 center pivot systems, ranging from 5 to 15 towers. Two pivots are powered by three phase electric, five are diesel powered. Four 12” permitted wells provide an excellent supply of water to these pivots. In addition, there is approximately 250 acres of dry farm land, all tillable between the pivots and around the edges. There is a small amount of planted pines, some hardwoods and a meandering creek for character and eye appeal, with a very high percentage of tillable ground. Owner’s pride is apparent when you view this well maintained and productive farm. Give me a call to schedule a showing; you will be glad you did. Offered at Auction November 19th. This is income producing farm land. With a 20 acre pecan orchard, 4 ponds, mobile home, and pole barn. At present 6 center pivots on property, 2 Caterpillar Irrigation Motors w/ Rainbow Pumps, 1 John Deere Irrigation Motor w/ Rainbow Pump. Also excellent Hunting/Recreational property. 275+/- Acre Farm Tract with Irrigation and Paved Frontage. Very nice farm with 201 tillable acres and three four tower pivots. The rest is in large hardwoods, two small ponds, approximately 6 acres of 12 year old planted longleaf pines. Very close to town, owners pride is apparent when you see this farm. This property is located on south side of a state highway and would be a great property for a home site, mini farm, pasture or small hunting tract. This tract has a nice creek with mature hardwoods on the back side of the property for good hunting. Close to the highway you have a small farm field. Close to town. 138+/- Acres with County Road Frontage. Reasonable priced recreactional tract with planted pines,on dirt road. Property located in Early County. 370+/- Acre Timber and Hunting Tract. It doesn't get better then this, you have timber value and hunting. The property has lots of planted pines of various ages, ranging up to approximately 28 years old. There is a real nice stand of natural long leaf pines, covering close to 35 percent of this property, these trees range upwards of 50 years old, with quite a lot of pole timber. The balance is in hardwoods and scattered oaks. The land has a little roll and an appealing look. Located close to town with paved frontage. Don't miss this bargain. Priced right at $1,900. per acre by motivated seller. Email Mark. 61+/- Ac. Irrigated Farm in Early Co., GA. with Frontage on Collins Road. Nice small farm with good soil and FSA Crop Base. 399 +/- Acre Excellent Hunting Tract in Blakely, GA.
Property is adjoined by big woods, most of which is in the Spring Creek Co-op, which is a trophy deer management plan. Property has a good look to it with a large amount of planted pines, ranging up to about 25 years old, scattered oaks, some cypress, hardwoods and about 60 acres of cutover. Land has a nice roll to it, secluded, but easy to get to, located on graded county road, not far out of Blakely, Ga. Don't let this get away if you are a hunter, priced to sell fast, by a motivated seller. Email Mark. 30 Acre Recreational Tract in Early Co. If you are look-ing for a nice deer tract, but have a low budget, this maybe the property for you. This tract has 15 to 20 year old pines and hardwoods with a small creek, and adjoins big woods to pull game from. Property is located southwest of Blakely, GA, just off Chancey Mill Rd. Come take a look. Adjoining 60 acres is also available. Early Co., GA. 5 Acre Parcel with Paved Frontage on Freeman Rd. Dry farm land, close to the city limits boundary of Blakely Ga.
Nice property with frontage on Hwy. 200, close to town, surrounded by nice woods. Great hunting tract, contisting of pasture land, dry farm fields, hardwoods, cypress duck pond and clear cut. This property has plenty of wild game. 100 +/- Acres with Absolutely Gorgerous Cypress Pond on Lime Branch. Property located southeast of Blakely, with frontage on Hwy. 200 and Five Bridges Road. This small recreational hunting tract consist of attractive mature hardwoods, with 30 plus acres of 8 to 9 year old long leaf planted pines that are enrolled in the CRP program. This property has deer, turkey, ducks and fishing. Close to town. Must see! Approximately 105 acres under irrigation, with the balance in dry farm land. Diesel power unit and center pivot in place with recorded water use easement from lake of neighboring property. Property located on Sandy Bottom and Five Bridges Road. This is a great deal at $2,500. per acre. 55 Acre Recreational Tract and Hunting Tract in western Early Co. This property has a nice roll with an excellent building site next to a beautiful pond. Twelve to fifteen acres is planted in ten year old pines, with the balance in 20 year plus natural pine and oak trees. This property has a lot of deer, well shaped and very attractive. 90 +/- Acre Hunting Tract in Arlington, Ga. Spring Creek runs through property. This great hunting tract is located on Hwy. 200. Three planting of pine trees, ranging in age from 6 to 12 years old. Beautiful dock able waterfront property in cove directly off Black Warrior River, with access to the Gulf of Mexico by way of the Black Warrior River & Tombigbee River. Black Warrior River is one of America's best kept secrets for recreational boating and great fishing. This parcel has over a 100 feet of gentle sloping shoreline, tucked into a nice cove, with a nice water view and beautiful scattered hardwoods & pine trees. Paved roads, protective covenants, great values. Property located only 30 minutes from the University of Alabama in Tuscaloosa, 12 miles from the I-20/59 interstate. Excellent investment property, or build your dream home or weekend get a way cottage. Dozens of golf courses in the area, including the world class Robert Trent Jones Trail. 1.07 Acre Parcel in Black Warrior Bay a Waterfront Gated Community: Beautiful dock able waterfront property on Big Brush Creek with access to the Gulf of Mexico by way of the Black Warrior River & Tombigbee River. Black Warrior River is one of America's best kept secrets for recreational boating and great fishing. This parcel has 144 feet of gentle sloping shoreline, tucked into a nice cove, with a nice water view and beautiful scattered trees. Property located only 30 minutes from the University of Alabama in Tuscaloosa, 12 miles from the I-20/59 interstate. Excellent investment property, or build your dream home or weekend get a way cottage. Dozens of golf courses in the area, including the world class Robert Trent Jones Trail. Property owners in this community enjoy direct water access to the Gulf, a private park with community pavilion, majestic oak trees, private boat launch and paved roads. This parcel has a small amount of frontage on an interior man made lake, at the end of a cul-de-sac, the property is shaded with nice trees and has an excellent view of the lake. Oakwood Shores is located just outside of Richwood, Texas on Bastrop Bayou. It is only 5 minutes from the Brazos Mall and only 40 minutes to Houston. You can enjoy tremendous fishing, boating, and water skiing. This area shows growth and potential, it is just a short drive to the town of Pearland, one of the fastest growing places in the Houston area. 1.06 Ac. Parcel in Black Warrior Bay Gated Community Close to Tuscaloosa, AL. Beautiful dock able waterfront property on Big Brush Creek with access to the Gulf of Mexico by way of the Black Warrior River & Tombigbee River. Black Warrior River is one of America's best kept secrets for recreational boating, it has about 7,800 acres of water surface with great fishing. This parcel has 161 feet of gentle sloping shoreline, magnificent views, and beautiful scattered trees. Property located only 30 minutes from the University of Alabama in Tuscaloosa, 12 miles from the I-20/59 interstate. Excellent investment property, or build your dream home or weekend get a way cottage. Beautiful dock able waterfront property on Big Brush Creek with access to the Gulf of Mexico by way of the Black Warrior River & Tombigbee River. Black Warrior River is one of America's best kept secrets for recreational boating and great fishing. This parcel has an abundance trees to the back and a cleared area in the front, you have a 50 foot wide "sub parcel" located on Black Warrior Bay for your boat dock and water access. Property located only 30 minutes from the University of Alabama in Tuscaloosa, 12 miles from the I-20/59 interstate. Excellent investment property, or build your dream home or weekend get-a-way cottage. Dozens of golf courses in the area, including the world class Robert Trent Jones Trail. Well located less than an hour and a half from Birmingham, Alabama with major airport. 216 +/- Acres of Beautiful Rolling Pasture Land in Western Early Co. Factory Creek runs through this property, and is also fed by a small spring located on the ranch. Long pasture views abound across the rolling hills with an abundance of woods around the meandering edges. There are plenty of deer for the hunting enthusiast. Great site for a pond. Located on Old River Road, very close to the Chattahoochee River. 30 Acres located off Joe Shingler Rd. Located just northwest of Colquitt, GA., approximately 10 miles from town. Great home site or get-a-way. Deer and turkey on property. Property has approximately 18 acres of open field and 12 acres of mature hardwoods on Aycock Creek. Tract goes across creek, and is located behind the 26 acre tract mentioned above. This property has no road frontage or access, but owner of the 26 acre adjoining tract will sell a 30' easement, or you can purchase the entire 26 acre tract to give you a very nice 56 acre diversified property. 1.25 Acre Parcel just south of Blakely, Ga. Nice house lot with attractive homes surrounding this parcel. Lot fronts on Three Notch Road. 26.3 Acres with frontage on Joe Shingler Rd. Located just northwest of Colquitt, GA. Property has approximately 15 acres in 20 year old planted pines, 6 acres in 20 year old pecans, 5 acres in hardwoods on Aycock Creek. Great home site, approximately 10 miles to town, half mile off highway on dirt road, secluded. Deer and turkey on property. Owner will finance with 10% down to qualified buyer on 26 acre property. The 30 acre tract behind this tract is also available and is described below. With the purchase of this parcel it would give you a very nice 56 acre diversified property. 536+/- ac. Timber & Hunting Tract in Early Co. 300+ acres of 19 to 20 yr. old planted pines, balance in 8 to 12 yr. old planted pines with scattered hardwoods and duck pond. Paved & county road frontage. Part of trees enrolled in CRP program. Good timber value and recreational property. 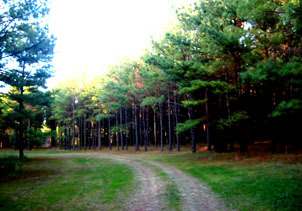 116 Acre property off Hilton-Damascus Road with 75% in cultivation and the remaining 25% in mature hardwoods and pines. Property has 10 inch well on northeast corner. Good farming and hunting tract. Early & Miller Co., Ga.
250 +/- Acre Producing Farm: This farm is in three tracts approximately a mile apart. Entire farm is leased to a local farmer, currently growing peanuts and cotton. Production is good, soil types are predominately Tifton. Parcel 1 consist of 172 +/- acres, with a four tower Valley pivot system in good condition and a 12” well. This parcel has about 27 acres of 20 year old planted pines, the balance in farm land with under ground pipe and risers. Paved and county road frontage. Parcel 3 is 46 +/- acres of farm land with pipe and risers. The pond and well is on the adjoining home site but can be leased long term. County maintained road frontage. 407 +/- Acres on Spring Creek. If you want deer hunting with quality and quantity, you need to take a look at this property. This tract consist of 407 +/- acres with long frontage on Spring Creek and Hilton-Damascus Road. Great habitat for the game with a combination of natural growth pine, hardwoods, planted pines and a little cutover timber. All this and irrigated farm land too. The farm has a 12 inch well with a Valley pivot system. Lease the farm for a steady income while you enjoy the recreation. Plenty of woods and farm fields adjoin property to pull deer or turkey from. Located just a short drive from Damascus or US 27, between Colquitt and Blakely, Ga.
160 +/- ac. Hunting & Timber Tract in Early Co., 10 to 12 yr. old planted pines with scattered oaks. Property has a beautiful cypress duck pond with well, good road system through out property. Close to Chattahoochee River. Good Deer & Turkey hunting. County road frontage. Make Offer!! Price Reduced from $425,000. 135 +/- ac. Hwy. 62 Frontage. Close to town, nice roll to property, with 20 yr. old planted pines, farm land, and balance in beautiful hardwoods with Sawhatchee Creek bordering property. 485 +/- Acre Timber & Hunting Tract: Early Co., GA. Great timber value approximately 200 acres in 22 year old planted pines. Balance in virgin hardwoods. Property has two year-round running creeks. Hunters paradise. 2,000 Front feet on busy Hwy. 91 in Miller Co., GA. 53+/- Acres between Colquitt & Donalsonville, GA. 8 year old planted pines, balance in bottom land with small creek. Lots of possibilities. 40 Acres in Early Co., SW Georgia with paved road frontage, income producing property has mature Planted Pines and Hardwoods. Great property and deer hunting! 510 +/- Acres in Early Co., SW Georgia with paved front-age just off US 27. This income producing farm has it all. Irrigated farm land with three pivots, mature planted pines that need to be thinned, & beautiful virgin hardwood bottom with Blue Creek running through it. Property has nice roll and pride of ownership is apparent when you look at this farm. Some pines are enrolled in CRP & farm is presently leased out. 810 Acres in Early Co., SW Georgia with 8/10 mile paved frontage. Income producing property with 200 ac. under cultivation, 300ac. in planted pines ranging from 8 to 20 yrs. old, 310 ac. in hardwoods with frontage on Dry Creek. Excellent deer hunting, beautiful property!! © All right reserved Georgia Inland Realty, Inc.